LUCY BURDETTE: You guys have probably noticed that the blog is a little slow this week. That's because it's a big week in the mystery business. The Mystery Writers of America awards were given out on Wednesday and Thursday, and the Malice Domestic Agatha awards will be given out tonight at the banquet. We are really proud to have four Jungle Red Writers nominated this year--Hallie for the Mary Higgins Clark Award for THERE WAS AN OLD WOMAN, Hank and Julia for the best traditional novel (THE WRONG GIRL and THROUGH THE EVIL DAYS), and Rhys for best historical novel for HEIRS AND GRACES. Isn't that an amazing line-up? I won't even list all the friends of Jungle Red that are also nominated, but it's an amazing collection of books and writers. I went into New York for a really quick overnight to celebrate Hallie's nomination. She didn't win (that honor went to Jenny Milchman), but as Hank pointed out, Hallie's book was ONE of FIVE books in the entire mystery universe short-listed, including (ahem) titles from most of the rest of the Reds! Congratulations Hallie! Now we have to wait with bitten nails to hear the results of the Agatha voting. It feels a little melancholy to be sitting home waiting, doesn't it? So for the rest of us, I thought we deserved comfort food tonight--in the guise of my favorite stuffed peppers. Saute the sausage until brown, then drain on paper towels. Saute the chopped onions in the same pan. Return the meat to the pan once the onions are soft. Add the uncooked rice, the water, the Worcestershire sauce, and half the jarred sauce. Simmer, covered, until the rice is cooked. This might take a half hour, depending on your rice--and you might need to add a little water along the way. Then stir in the cheese. While the meat mixture is simmering, cut the peppers in half lengthwise. Cut out the stems and seeds and membranes. Pour the remaining half of the sauce into a greased baking dish, and set the peppers into the pan. When the meat mixture is ready, stuff it into the peppers, cover with foil, and bake 30 minutes at 350 until peppers are soft and sauce is bubbling. Good luck ladies--you are all winners in our book! But winners, losers, or those left behind, here's my new recipe for orange almond sponge cake--it soothes and celebrates equally well:). Absolutely . . . all the Jungle Red ladies are winners . . . I’ve certainly got my fingers crossed for everyone and I’m looking forward to hearing the results . . . .
It’s interesting that you posted a stuffed peppers recipe today since my husband just said he’d like to have them; we’ll definitely be trying that recipe [with the sponge cake for dessert] --- thanks! So, I'm reading this late Friday night (10:49 PM my time right now) and thinking to myself, "I thought the awards were given out on Saturday night." Then I realized my mistake. And here I was getting excited that I might find out who won when I woke up in the morning. It's so strange to me to have novels competing against each other — what you're at that level, isn't it a matter of taste? Hallie's book is fantastic — it's a winner in my book. I lived a mile from the "Malice Domestic" venue for many years,and never knew . . . Anyway, fun and fun. Lots to celebrate. Congratulations on all the well-deserved nominations! I am at home, but with you in spirit. Cheering for all of you!!! But, alas, no comfort stuffed peppers in our house. Dear hubby is allergic to bell peppers. Even Cajun food has to be made without them, and that, I can attest, is a challenge. I will drink at toast to our REDS tonight, however! You all deserve to win!!! I agree with Joan. All the Jungle Reds are winners, and I'm not surprised to see your all's names consistently on nomination and winner lists. Hallie, I did think that you were a shoe-in, but it's a fickle wind that sometimes blows through to the final results. I know that anyone who has read There Was an Old Woman loved it, including me. I'm excited about hearing the results of the Malice awards with so many of my favorite authors nominated. In the Contemporary Novel category, I've read 4 of the 5 books nominated, and I so happy to see Hank's and Julia's amazing novels in that list. Could you maybe both win? I don't see how they couldn't. Rhys, at least I can cheer for just one in the Best Historical Novel category. It should be clear that you are brilliant at historical fiction. Roberta, you are the definition of comfort. The green peppers recipe has me drooling, and the orange sponge cake sounds like an airy piece of delight. You're very sweet Kathy--thanks from all of us. Denise, how funny you lived within shooting distance and never knew what was happening...you'll have to go another year! Wow, Debs, no green peppers? that's a killer! Let's see, how about stuffed squash? As someone who read nearly every book on the lists of nominees (and enjoyed every single one of them), I am glad I don't have the job of picking the winner! It's nice to know, as a reader, that I read so many books that are nominated for awards - I have good taste! 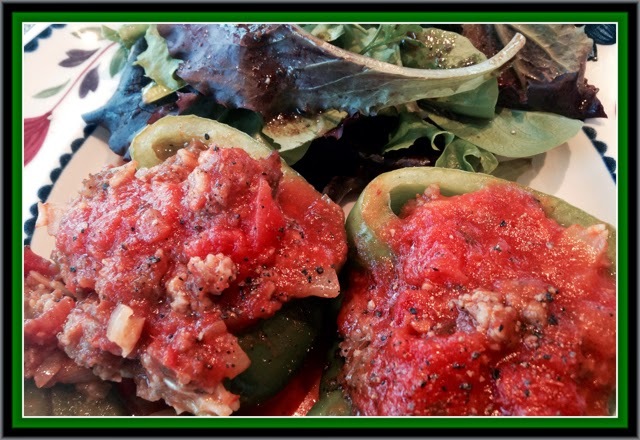 Wish I could eat those stuffed peppers, but I can no longer eat peppers, whether they are green or red. I can salivate, though, as I read the recipe. Hope everyone at Malice has a lot of fun. One of these years I hope to get there! Hi HI - checking in to say HI! I am at Malice and having such a great time and wishing ALL of you were here! After tonight's banquet, I'll post my "Oh, Kaye!" blog with LOADS of pix, so be sure and check back on Sunday. And now . . . a nap! p.s. 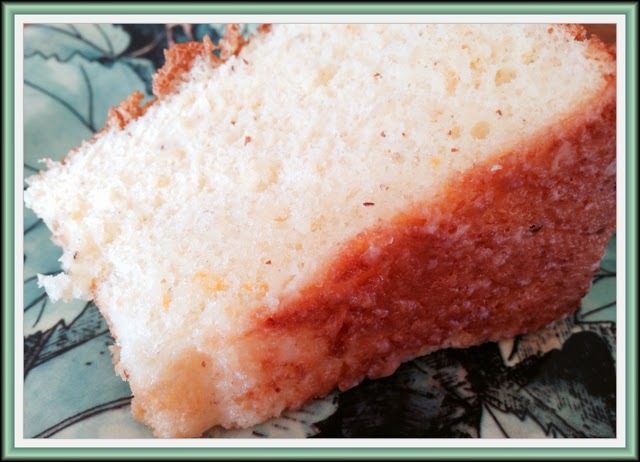 - Lucy/Roberta - LOVING this cake recipe and can't wait to try it. Thank You!! thanks Kaye--and we can't wait for your Malice pix. thanks for sharing with us at home!